18mm Strap - Official NATO Product. Royal Signals Watch Strap. ROYAL AIR FORCE EAGLE FOR BADGES ETC WITH FASTENING PINS. A Unued & New Condition Royal Air Force Eagle with Rear Fastening Pins for Badges Etc. Ensign Military Flag. Royal Air Force. Made From 100% Polyester - It Has Been Full Colour Auto Screen Printed - Washed And Ironed. Complete With 2 x Brass Eyelets - So Is Ready To Fly or Display. Double Stitched Edges For Strength. RAF PILOTS WING BREVET-CHEST BADGE (A). A Royal Air Force Pilots Brevet -Chest Wing. A Very Good to Unused Condition Royal Air Force Pilots Brevet-Chest Wing. This is, I'm told, the iron on type but obviously can be stitched as well. Made in the UK. Ideal present for husband, father, grandfather. ATC Air Cadets. Ideal For The Royal Air Force's Air Cadets & Adult Instructor's. Combat Jacket/Shirt TRF Patch/Badge. For Combat Jackets/Shirts/Jumpers etc. 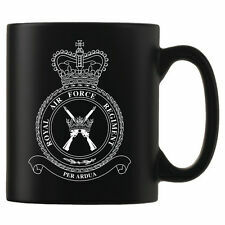 Royal Air Force. Olive Green. Black On An Olive Green Patch/Badge. Embroidered Cloth Keyring with 20mm Split Ring. Rayon - Artificial Silk - Stitching. Each Side Has A Different Image. 135mm x 35mmApprox'. Royal Air Force RAF Glass Paperweight Advertising Recruitment. Getting to be very rare now. Condition is Used. Dispatched with Hermes courier. Embroidered Patch. made with love by. Add to Favourites. 120mm x 105mm Approx'.